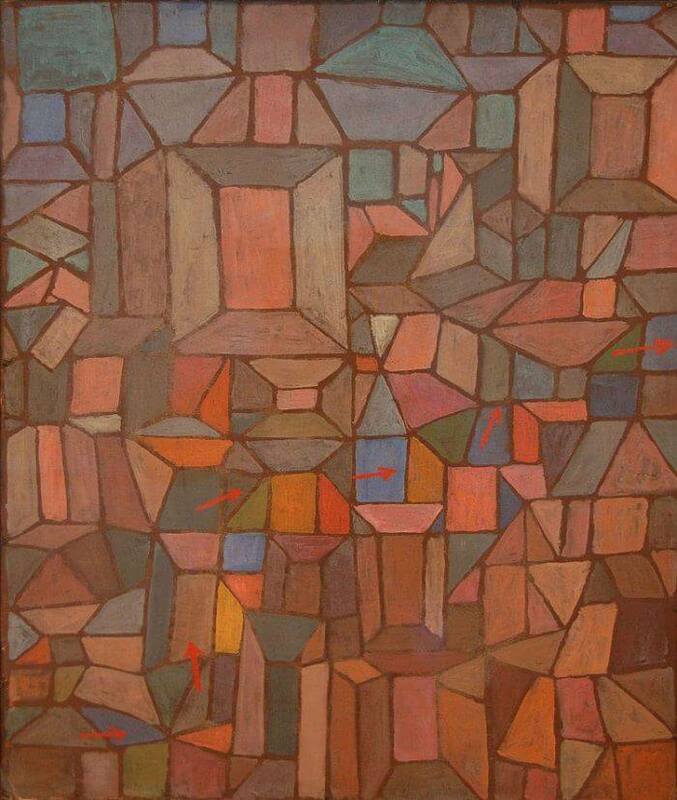 Klee has been variously associated with Expressionism, Cubism, Futurism, Surrealism, and Abstraction, but his pictures like The Way to the Citadel, 1937 are difficult to classify. 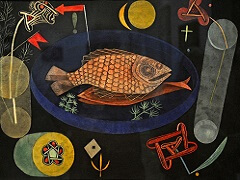 He generally worked in isolation from his peers, and interpreted new art trends in his own way. He was inventive in his methods and technique. 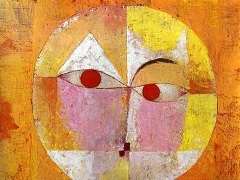 Klee worked in many different media - oil paint, watercolor, ink, pastel, etching, and others. He often combined them into one work. He used canvas, burlap, muslin, linen, gauze, cardboard, metal foils, fabric, wallpaper, and newsprint. 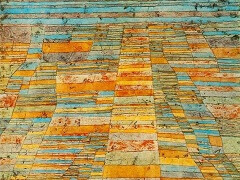 Klee employed spray paint, knife application, stamping, glazing, and impasto, and mixed media such as oil with watercolor, water color with pen and India ink, and oil with tempera. 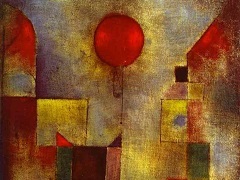 Klee was a natural draftsman, and through long experimentation developed a mastery of color and tonality. Many of his works combine these skills. He uses a great variety of color palettes from nearly monochromatic to highly polychromatic. 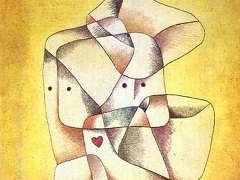 His works often have a fragile child-like quality to them and are usually on a small scale. 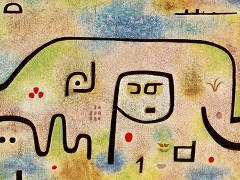 Klee often used geometric forms as well as letters, numbers, and arrows, and combined them with figures of animals and people. Some works were completely abstract. Many of his works and their titles reflect his dry humor and varying moods; some express political convictions. Titles frequently allude to poetry, music and dreams and sometimes include words or musical notation. 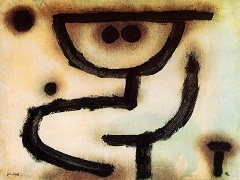 Klee's later works are distinguished by spidery hieroglyph-like symbols. 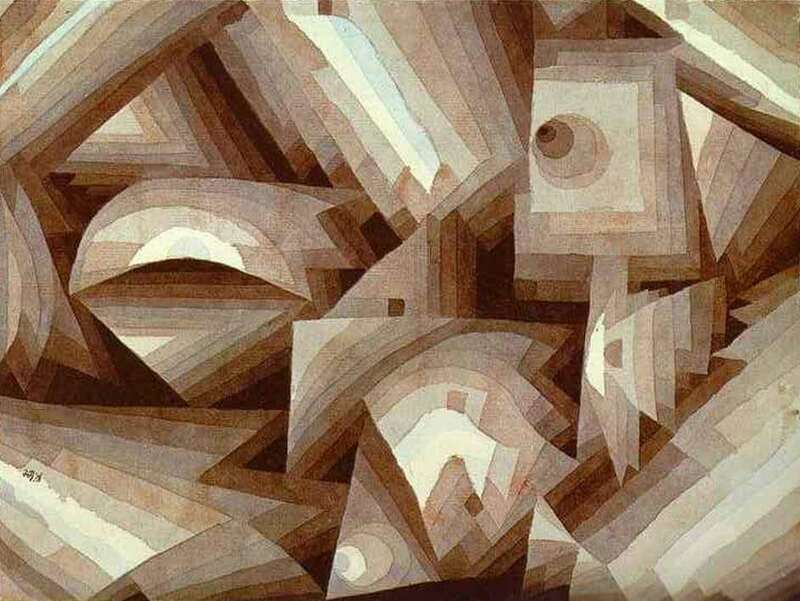 Rainer Maria Rilke wrote about Klee in 1921, "Even if you hadn't told me he plays the violin, I would have guessed that on many occasions his drawings were transcriptions of music."